'Love Rain' and 'Absolute Boyfriend:' Two New Asianovelas to Premiere This Monday on ABS-CBN! ABS-CBN doubles the romance and doubles the sought-after Korean stars to watch every weekday as the country’s first and true home of Asianovelas premieres the romantic drama “Love Rain” and romantic comedy “Absolute Boyfriend” beginning Monday (June 24). Asia’s drama prince Jang Geun Suk and one of Korea’s most influential entertainers, Yoona of phenomenal Kpop girl group Girls Generation, team up and play lovers in two different times in “Love Rain,” which airs at 10 AM. Ian Seo (Geung Suk) and Judy Kim (Yoona) went to college together back in the 1970s and then fell in love. Unfortunately, their love wasn’t meant to be and they needed to part ways. But love found its way back to them through their children as Ian’s son Jun Seo (Geung Suk) meets and falls in love with Judy’s daughter, Hannah Kim. Will Ian and Judy approve of their son’s and daughter’s romance? Can Jun and Hannah have their happily-ever-after ending unlike their parents? 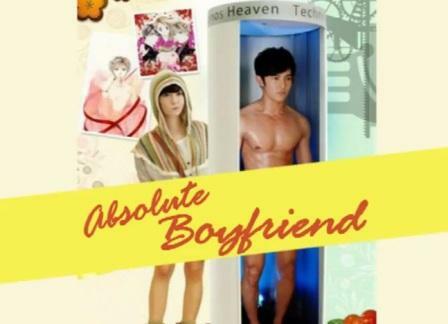 Meanwhile, Korean sweetheart Koo Hye-Sun or more popularly known as Jan Di of “Boys Over Flowers,” and Taiwanese hearrthrob Jiro Wang of “Hana Kimi” return to Philippine television via the romantic comedy about a lonely single girl who falls in love with a hot, hunky robot in “Absolute Boyfriend,” which airs at 5PM. Alice (Hye-Sun) never had a boyfriend and has yet to fall in love. One day she returns a lost cellphone to a strange salesman and she good-naturedly tells him to give her a boyfriend as a reward. True enough, the salesman gives her a perfect love in the form of a customizable robot named Henry. Unfortunately, Alice misses one tiny detail—to return the robot after the 48-hour trial period. Now, Alice is left with no choice but to work hard to pay for Henry. But as she spends more time with the robot, she finds herself slowly falling in love with it. Can she stop herself from falling for Henry? Will a real man come her way and save her from feeling for a robot?